Active. Very active on Scratch. The most loves I have ever gotten on a project was 16 loves. I do art requests btw. 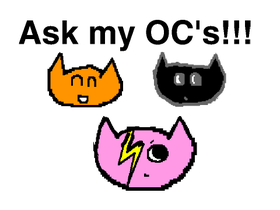 Ask my OC's! 100 Followers Project!! !